It is so gladdening to hear that Siye Abraha has gone through a monumental personal transformation during his life in custody. People who persevere tribulation, sufferings and injustice are eventually triumphant. People like Siye are born to be resilient and prime movers of radical change. When Siye stated that Ethiopia's problems are not poverty, ethnic, sectarianism, ... but absence of justice and freedom, it is a great news for all Ethiopians. It sounds to me Siye has dug out the root cause of all the problems in Ethiopia while he was in prison. I concur with him all in all; I do not believe Ethiopia is poor, but it is poverty of leadership. Ato Meles by throwing Siye into prison he has made Siye surpass him because Meles' mentality and level of understanding is still stuck in the rut of ethnic philosophy while Siye has gone beyond that prededebit philosophy. It is true that the innocent tigreans did not give their precious lives for injustice, subjugation, and betrayal. It is the Prime Minister who betrayed their causes to gratify his personal believes at the expenses of countless lives . Nonetheless, if Siye stands for his words, he is in a good position to reclaim the covenant of his fallen comrades. Truth can never be veiled forever, but for a limited period. In further, Siye's mellowed and forgiving manner is an additional gift not only to himself but to Ethiopia where revenge is away of life. He has no any bitterness, and grudge even to Meles. All his statements are adorned with wisely chosen words. It is my hope that Siye will undo the damage which has been done to our beloved country. Siye has the gut, the experience, firmness, and the character of a good leader. 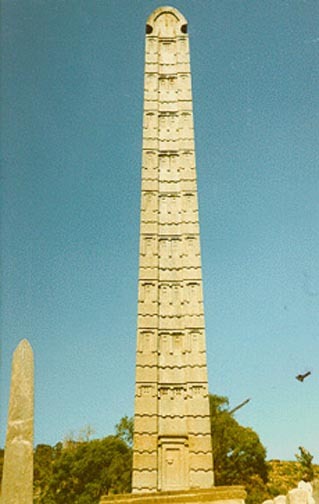 All Ethiopians must rally behind Siye if our country is to be saved from the imminent dangers. Siye is the best Candidate for next election take-over. Ato Meles must be retired peacefully by all means. We have had him more than enough.